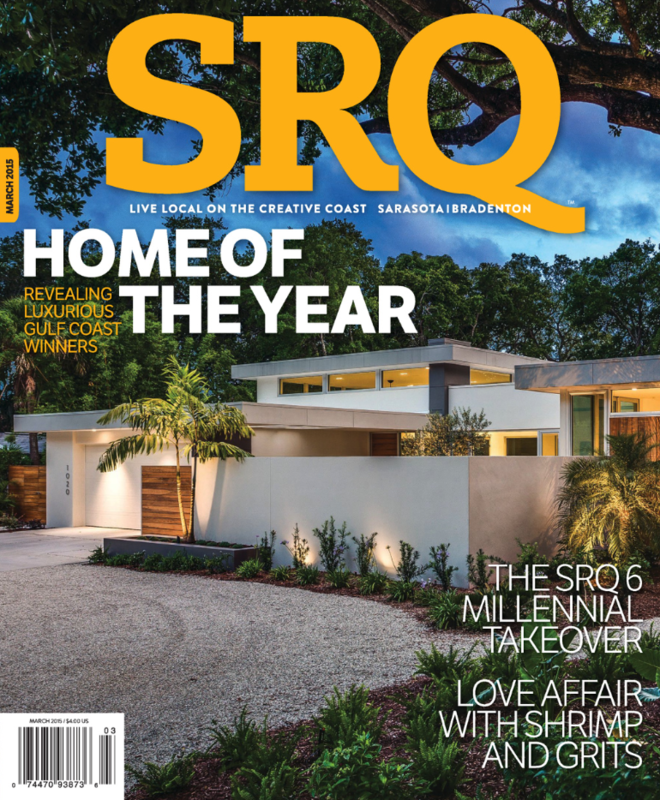 Cover Project: Lotus on Orange - Michael A. Gilkey, Inc.
We were honored to have had this modern project featured on the cover of the March 2015 issue of SRQ Magazine. The project, known as Lotus on Orange, was a LEED certified collaboration between Leader Design Studios and Josh Wynne Construction. We created an Asian inspired courtyard aesthetic, incorporating multiple planters and an extensive water garden with floating concrete terraces. Read the entire article here.